The Bluthner model 6 exudes quality and refinement. The traditional Bluthner golden tone is perfectly balanced throughout the keyboard and offers an expressive musical experience. As you would expect with a piano of this quality the action is accurate and responsive providing the pianist with total control of dynamic interpretation. 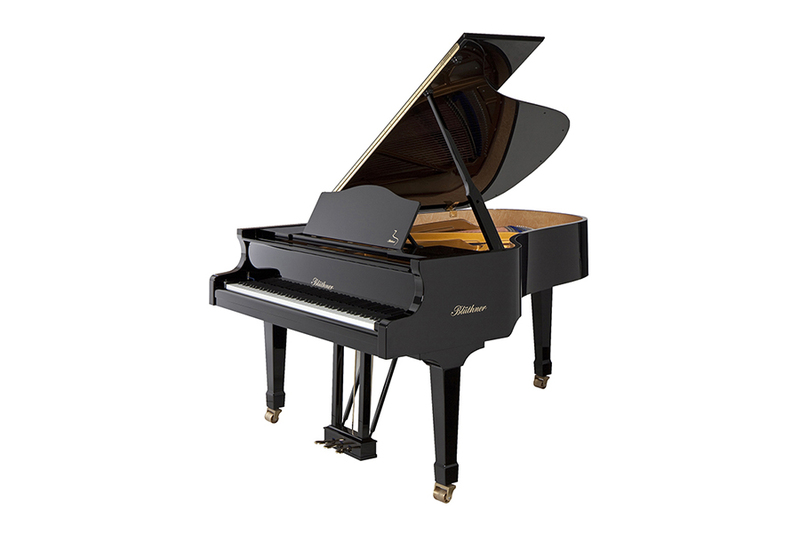 The model 6 is perfect in the setting of a large room of a private home and equally suitable for solo recitals or accompaniment in small venues. The Bluthner model 6 sits elegantly in our showroom. Everything about it exudes quality, luxury and style. The tone produced is warm and rich, the touch responsive and appealing. I always encourage visitors to try this piano, an experience worth sharing!